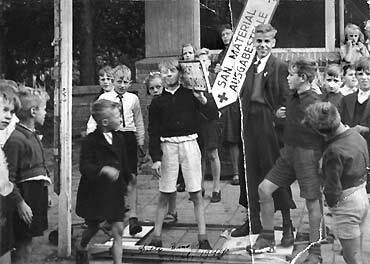 Dolle Dinsdag (Crazy Tuesday) is the designation for Tuesday, September 5, 1944. 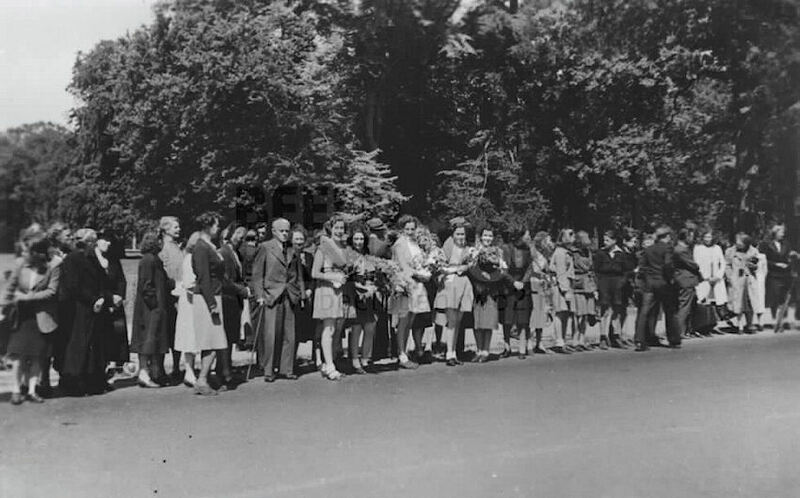 On that day, emotional scenes took place throughout the Netherlands as a result of the broadcast of the BBC that the allied armies had crossed the border. Breda would already be liberated. 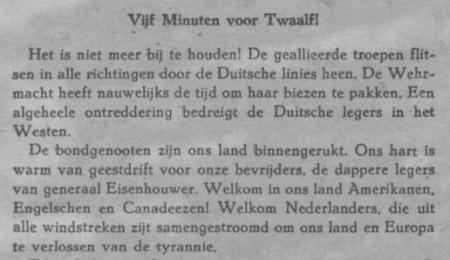 This rumor was fed by Prime Minister Gerbrandy who stated that the border had been crossed and he welcomed the liberators to Dutch territory. to be in Rotterdam on September 5, September 6 in Utrecht and Amsterdam, and the rest "would follow soon". In the south of the Netherlands they could have heard the roar of the guns. 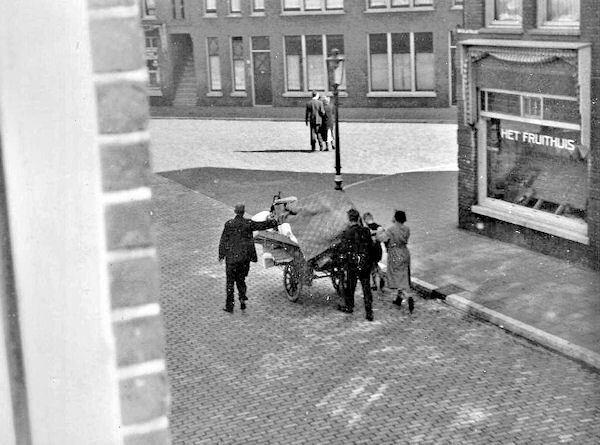 Rumors were thickened, and soon the myth circulated that certain places in the south of the Netherlands had already been liberated. In Rotterdam it was alleged that the Allies were at Moerdijk, and in Amsterdam it was claimed that they would be in Rotterdam and The Hague. 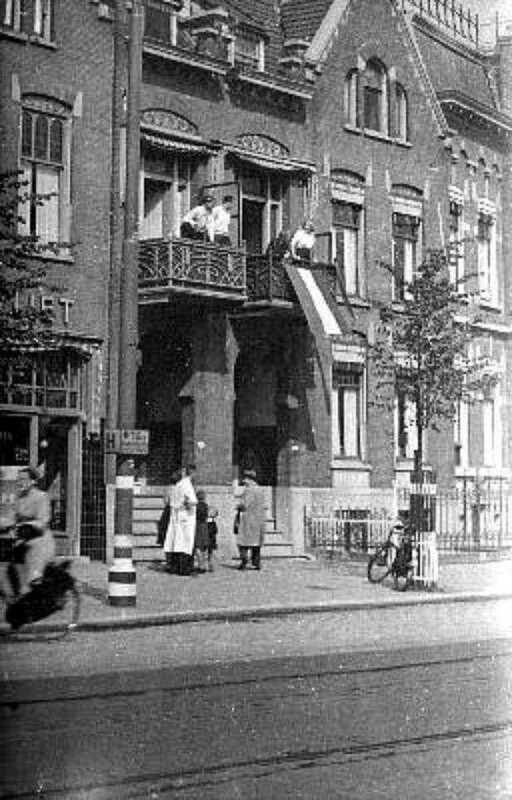 There were Dutchmen who dared to put out the flag, but that was very dangerous because the German occupier had strictly forbidden this. 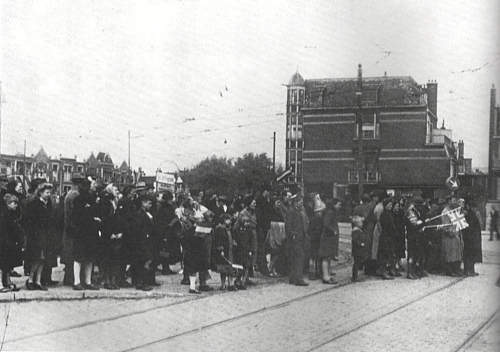 Many Dutch people made the next day to greet their liberators. Flags and orange banners were taken out, and companies were empty because the staff wanted to wait for the Allies on the street. 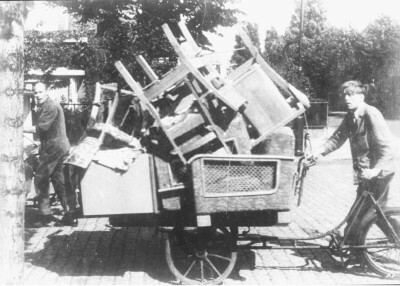 Germans broke out among Germans and NSB members; administrations were hastily destroyed and many fled. 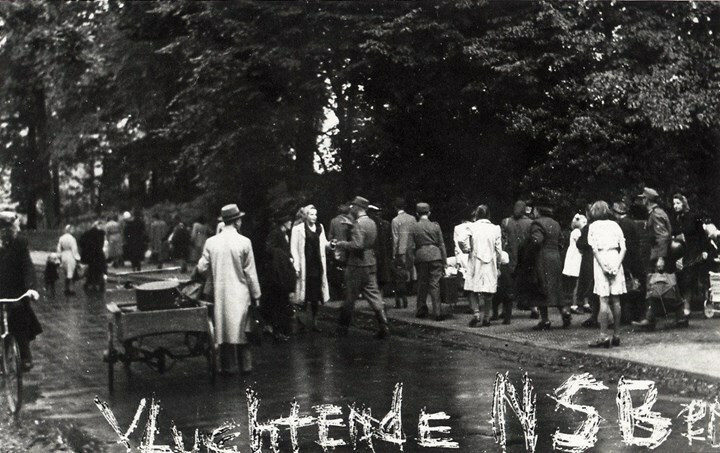 Many NSB members stayed temporarily at the Lüneburg Heath in Germany, while Mussert moved to the Bellinckhof near Almelo. What the Dutch population did not know was that the size of the allied troops at that time was still too small to liberate the whole of the Netherlands. The allied main force was still in France: and the troops that had advanced to Antwerp had only liberated a thin corridor in Belgium. In addition, there was a supply problem because the supply lines had become too long and were dependent on a single artificial harbor, as the Germans had fortified themselves in the French port cities. The Dutch border was not even reached at all. On both sides the area was still occupied and the advanced troops ran a risk of being cut off. There were indications that the Germans were regrouping. The Allied High Command therefore did not dare to take a further step in a northerly direction, especially since the main goal, Antwerp, had already been achieved. 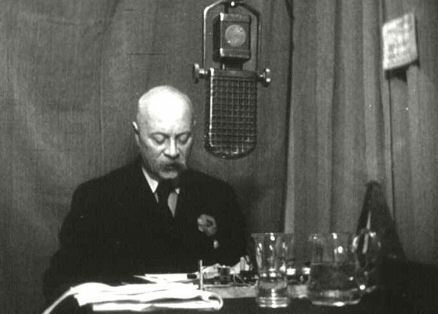 The false radio message about the non-existent liberation of Breda had to do with the fact that even the Allied High Command barely knew where its own troops were, due to the speed with which they had been advancing. 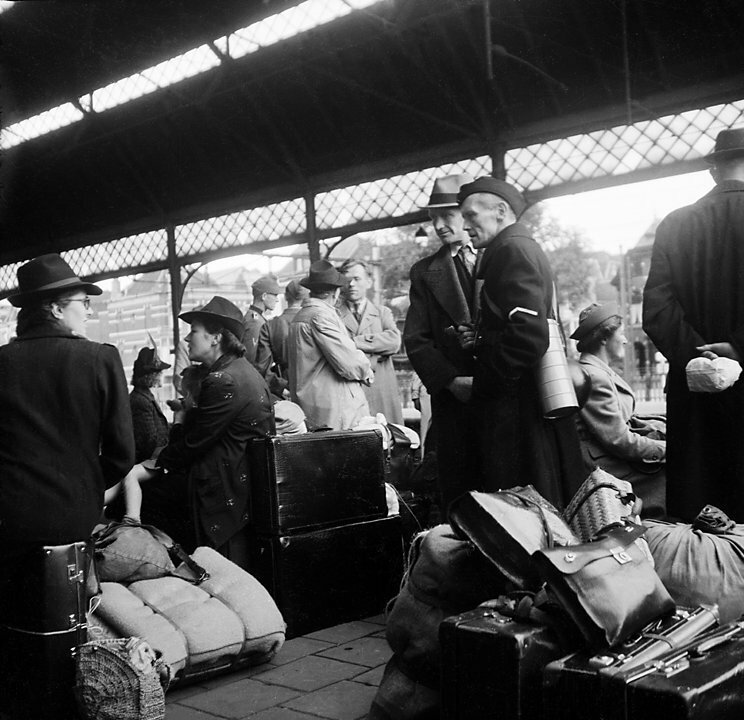 Only a few days later the Allies would cross the Dutch border with reconnaissance patrols, and on 14 September 1944 Maastricht became the first major Dutch city to be liberated. 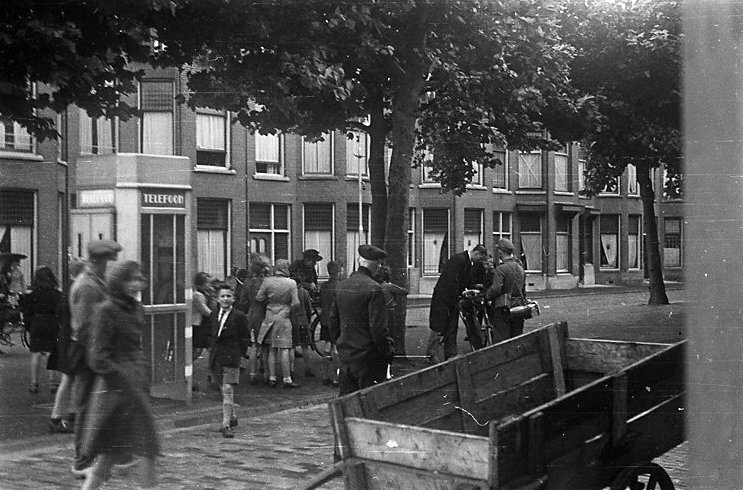 When Operation Market Garden also failed because of the German victory in the Battle of Arnhem at the end of September, it was clear that at least for the Northern Netherlands the liberation would still take some time. 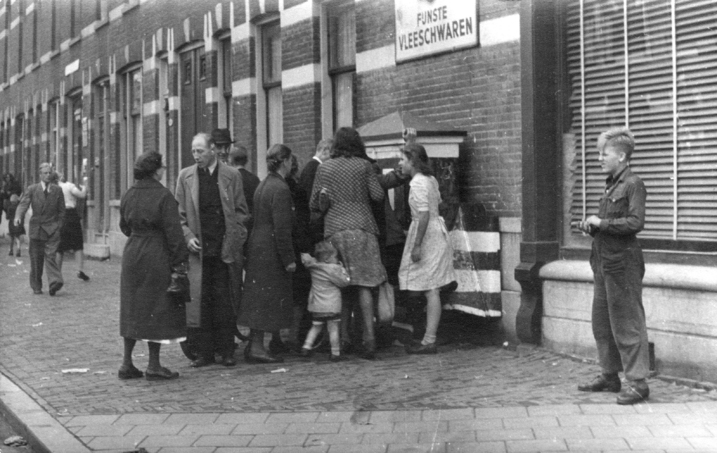 West Netherlands had to endure a Hunger Winter after Dolle Dinsdag, before it was liberated on 5 May 1945. 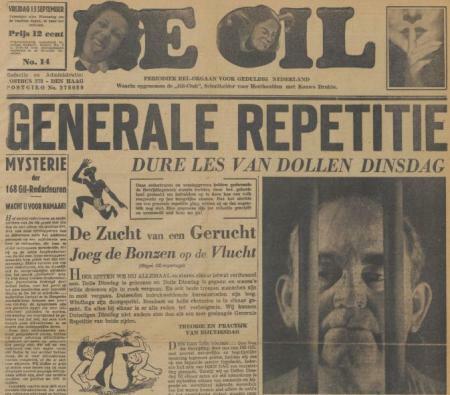 The name Dolle Dinsdag is first encountered in De Gil, a propaganda newspaper disguised as a resistance magazine and paid for by the occupying forces. On 15 September, the paper headed for the events on 5 September: GENERAL REPETITION - DURING LES VAN DOLLEN TUESDAY. The alliterative rules were written by Willem van den Hout, who after the war under the name Willy van der Heide would gain fame as the writer of the successful children's books about Bob Evers. 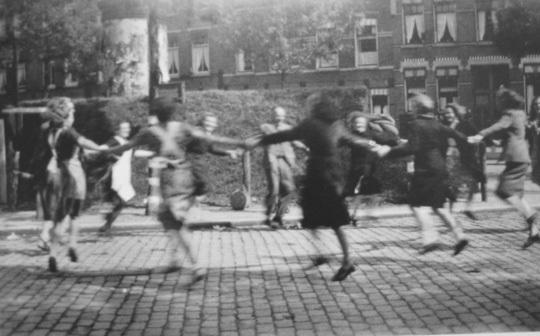 On the Willebrordusplein in Rotterdam the residents of Rotterdam danced to be convinced that they were that the liberation was imminent. 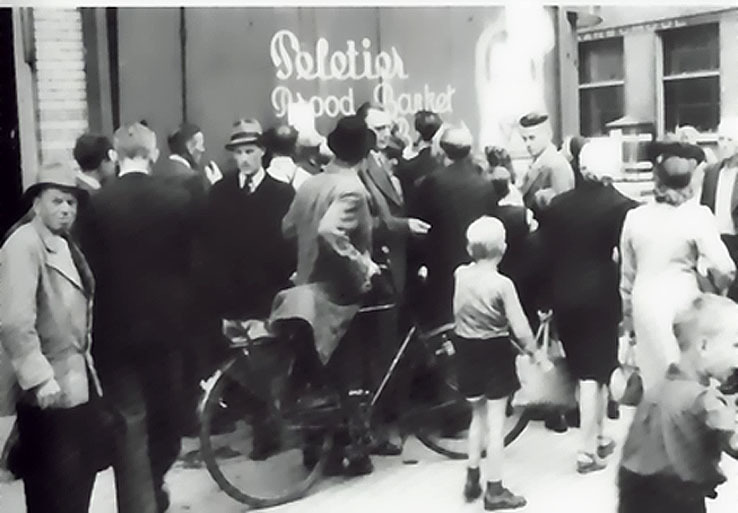 Waiting customers at a bakery on Dolle Tuesday. That wait was in vain, however, because the baker was fleeing. 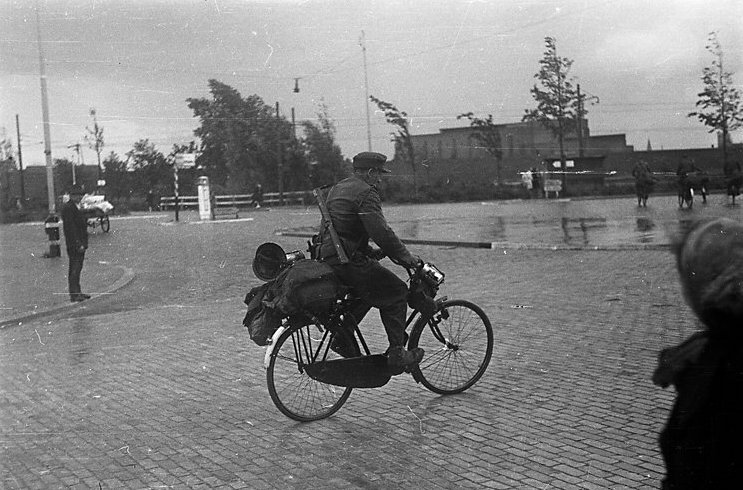 German soldiers leaving The Hague by bycicle on 'Dolle dinsdag' . 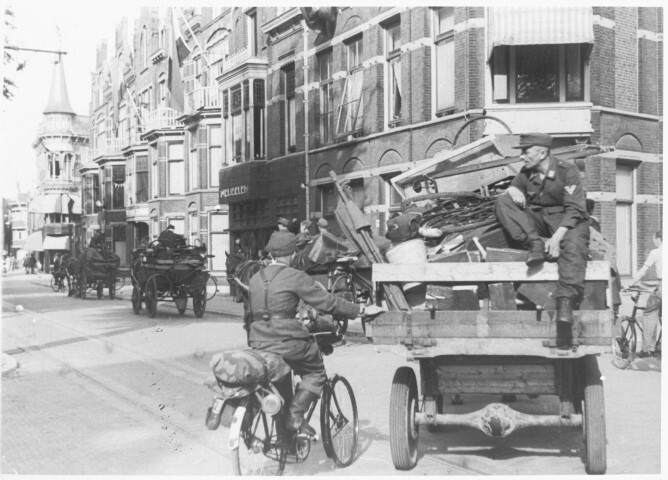 On 'Tuesday tuesday', German soldiers claiming bicycles, corner Schenkkade-Adelheidstraat, The Hague. 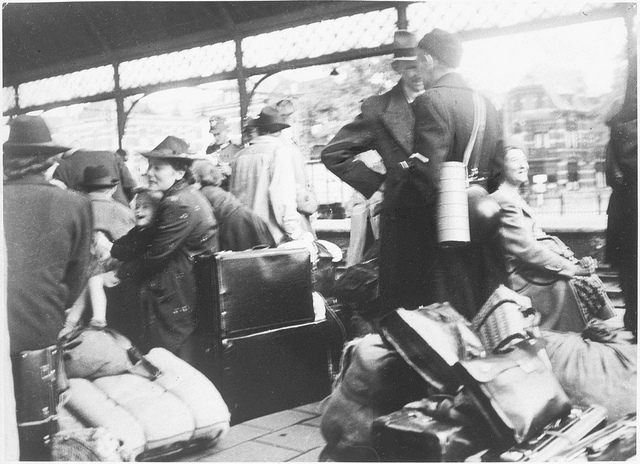 Residents of The Hague are trying to get confirmation of the stream of rumors that the liberators are on their way. But in occupied territory it is difficult to hear the true news. 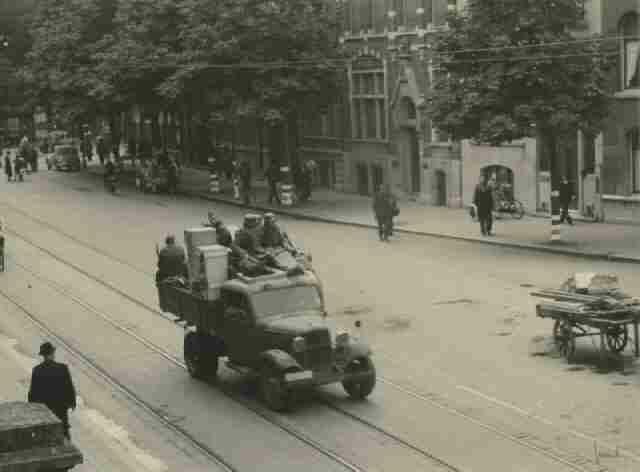 Also on the Rijswijkseplein in The Hague the population was looking forward to the liberators. 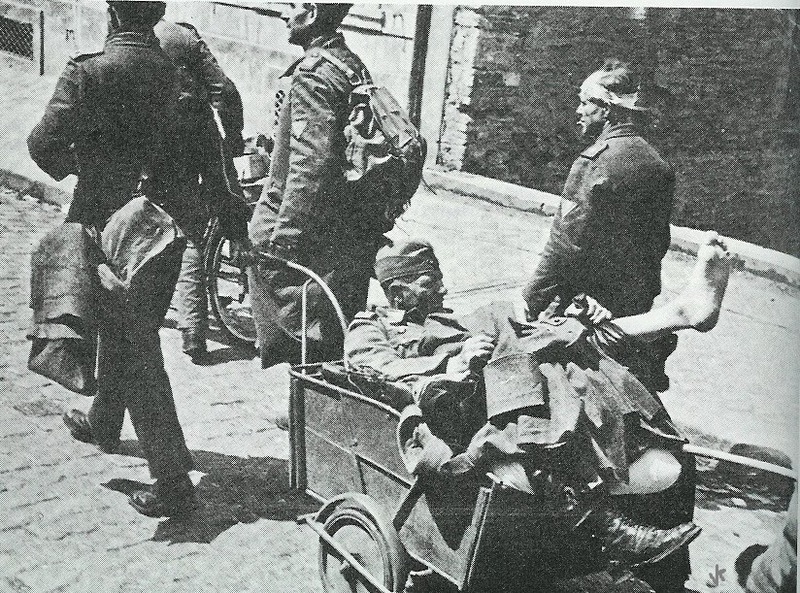 German soldiers flee from The Hague on 'Dolle Dinsdag'. They have been distressed by the stream of rumors that the allied armies are approaching. 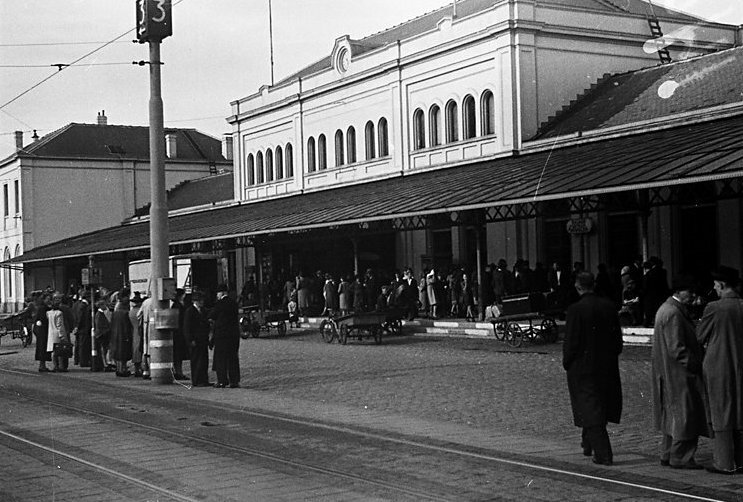 On Staatsspoor in The Hague NSB families wait for special trains that would take them to safer places. 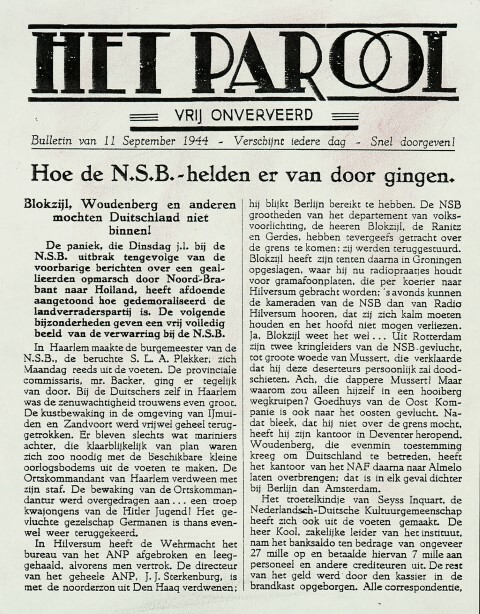 Many NSB members ended up in Kamp Westerbork or the Lünenburger Heide in Germany.